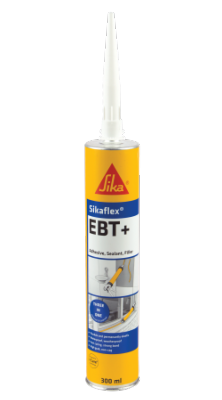 Sikaflex EBT+ 300ml is a multi-purpose one part, plastic, polyurethane adhesive and sealant. It bonds to all common building materials, is permanently elastic and has excellent grab and gap filling properties making it ideal for use in a wide range of building and maintenance situations. Available in White, Beige, Brown, Black and Grey.